St. Patrick’s Day is right around the corner! 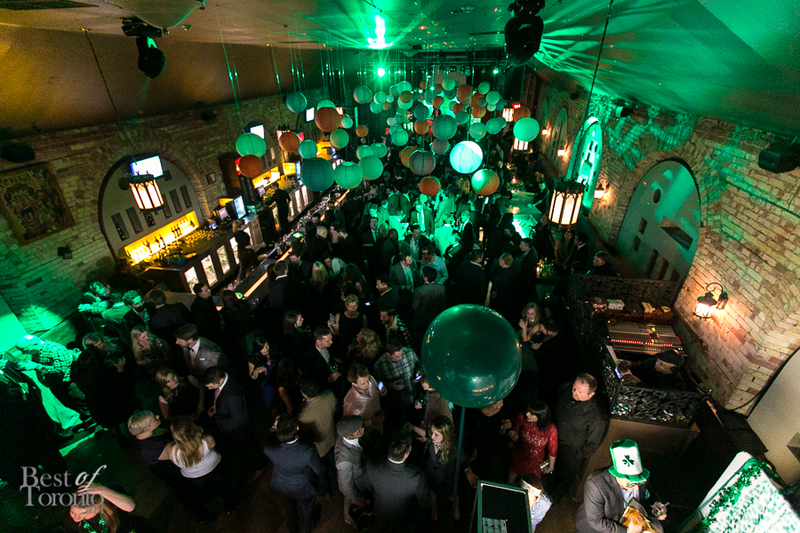 And I can attest that last year’s Lucky Ball was probably the best St. Paddy’s Day party in Toronto with 400 people in attendance. 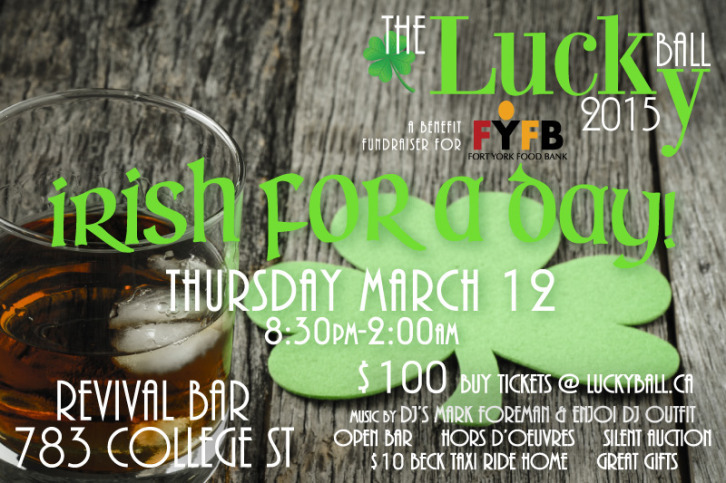 This year’s Lucky Ball 2015 aims to raise even more funds for the Fort York Food Bank, so come out, have fun and if you’re celebrating St. Paddy’s Day, you might as celebrate for a good cause. Also, check out our photos from last year’s Lucky Ball 2014 down below. So, why is Lucky Ball the best St. Patrick’s Day party? Well it’s hosted by a local food charity organization, Fort York Food Bank, where 100% of the proceeds go to the foundation. And there’s tons in store for you, too, with DJs, dancing, hors d’oeuvres, open bar and even a $10 Beck taxi voucher to get you home safely! How great is that? It all takes place this Thursday, March 12th, 2015 once again at Revival Bar on College Street. Tickets are $100 (plus admin fees) and include open bar and hors d’oeuvres, your $10 Beck taxi voucher and more, as mentioned above. Check out the video here about Fort York Food Bank and it’s annual fundraising gala which raises more than 20% of it’s cash operating budget, Lucky Ball. Also check out our photos from Lucky Ball 2014.